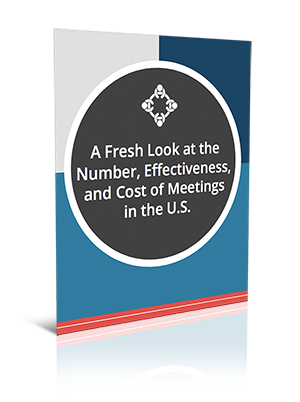 Download the PDF: A Fresh Look at the Number, Effectiveness, and Cost of Meetings in the U.S.
A Fresh Look at the Number, Effectiveness, and Cost of Meetings in the U.S.
Bad meetings are a big issue in the modern workplace. Just how big of a deal are they? That’s a big problem. Except, these numbers are wrong. We've poured through the research, done the math, and pulled together the most up-to-date information so you don't have to.